I haven’t done one of these publishing industry interviews since March – but I have a very special reason to bring back the series today: I’m interviewing Francesca Hopwood, the Product Manager at Scholastic Book Fairs who is responsible for the incredible special edition of The Last Beginning, containing the short story Another Together. I was so delighted to be asked if they could make the edition back in August, but I didn’t really understand how the Book Fairs actually work. I have vague recollections of buying books from them when I was at school – but my knowledge didn’t extend far beyond that. So I asked Francesca if she could answer some questions for my blog (and to satisfy my curiosity). To my delight she said yes! I cherry pick the best books published for 11-18 year olds to feature in my Teen Book Club leaflets (these go into Secondary schools 6 times a year). I also select Posters, Stationery and Teen books for Scholastic Fairs (the giant silver cases that go to schools one or twice a year). Publishers come to present to me and the rest of the product team where we get to see what books are coming out and then I have the exciting job of (attempting!) to read them all. My day job involves a lot more spreadsheets than most people expect where we’re continuously looking at sales analysis and stock as well as briefing the design and marketing teams on all our various leaflets. We liaise with publishers on a daily basis to make sure we’re up to date on what’s coming out when and feedback on covers and content where necessary. We also work closely with Scholastic publishing so we can get a range of books created to suit the schools market. Why are Scholastic Book Fairs & Clubs so important? Thanks for asking! This will probably sound like a pitch but I genuinely think what we do is awesome. We handpick books that encourage children to read for pleasure and make them affordable and available to all children. A lot of kids aren’t able to visit bookshops or libraries so by sending the leaflets and fairs cases direct to the schools we’re giving them a chance to see all these incredible books on offer in a safe and familiar setting and for pocket money prices. So much research supports how important it is not just for kids to read for pleasure but to own books as this instils a love of reading early on and enables them to have ownership of their reading. Also, for every £1 spent on a school’s Book Club order we donate 20p in free books back to the school. With so many public libraries being closed down and budget cuts to the education sector I think this is an amazing thing for schools, parents and children alike to be aware of as it means we can help schools build their libraries to have even more stories to share. I have vivid memories of receiving the book club leaflets when I was in primary school and circling everything I wanted (all the pony books…it was a borderline obsession at 8 years old) and then getting super excited when they would arrive (post addressed to me was such a big deal at school) so visiting a fair and seeing the kids get excited about all the books on offer is always really exhilarating. You watch as they shout out an author or character’s name, as if they were their friends and it just makes all the excel spreadsheet part of your job seem worth it to see such joy and excitement. I also still find reading books before they’re out really exciting. Especially if you’re reading it early enough to make suggestions and watch as it grows into a fully formed book or getting an exclusive edition just for Clubs and Fairs. Receiving the finished printed book always feels so satisfying if you’ve had a hand in making it (I may have an ever growing tower of books on my desk that I can stare at and be proud of – Our version of The Last Beginning with the extra short story being an excellent example 🙂 ). I definitely have a copy of that on my desk to stare at too! How do you go about choosing which books to feature in the Teen Book Club? Does the maturity of the content ever have an impact on this? We do a lot of analysis into our previous book club leaflets to see what has sold well, as well as keeping an eye on the charts to make sure we have all the big hitters featured on current offers. It’s also about being aware of debut authors, hype on social media, alongside events (such as Black History Month, Science week, or World Book Day) and films that are coming out in that particular month of the book club and looking at how we can link to these to garner interest. I also like to feature perennial bestsellers to make sure the next generation have the opportunity to grow up with them, such as; Wonder, The Book Thief, Private Peaceful, Nought & Crosses, Percy Jackson, Coram Boy and The Boy in Stripped Pyjamas. These are all books that get kids not just reading but talking about books as these are all really strong stories that get you to empathise with the characters within. Because we sell through schools we have a certain level of trust that we have to adhere to when selecting for teenagers on behalf of the teachers and parents so content is always looked at closely. The maturity level of a 12 year old and 15 year old can be very different so I have to be conscious when selecting books that we’re able to reach and appeal to year 7’s alongside year 10s (which can be really hard when publishers present loads of YA but hardly any upper-middle grade these days!). In the most part I can get around this by flagging titles that I believe are more mature, although if a book has swearing/violence/drugs on every page then I’m going to have to give it a miss as it’s inappropriate to the school setting. When featuring a book with content I have to be able to justify why. For example Paper Butterflies by Lisa Heathfield is about an abusive step-mother/daughter relationship with some horrific scenes of emotional, racial and physical abuse. It’s handled in a way that I believe will resonate with teenagers and get them really thinking about how much injustice goes on without us realising as well as looking at how important it is to ask for help and offer it in return. Do you have an instinct for whether a book will be popular at schools? What features do successful books usually have? I know people must hate hearing this but visuals are really important. On our clubs leaflet there can be up to 20 books on one page all competing with each other so the covers need to be impactful and convey what the book is about in around 10 seconds tops. The most popular books, especially on Teen book clubs are usually titles that are linked with a film or TV show (Miss Peregrine’s Home for Peculiar Children is my top seller this Autumn), have just won awards, been featured in YouTube videos such as Zoella or are books I’ve picked out and sent to my teen readers to review. Giving a book that extra bit of space and being able to show that a peer has read and loved it really helps the success of the book. 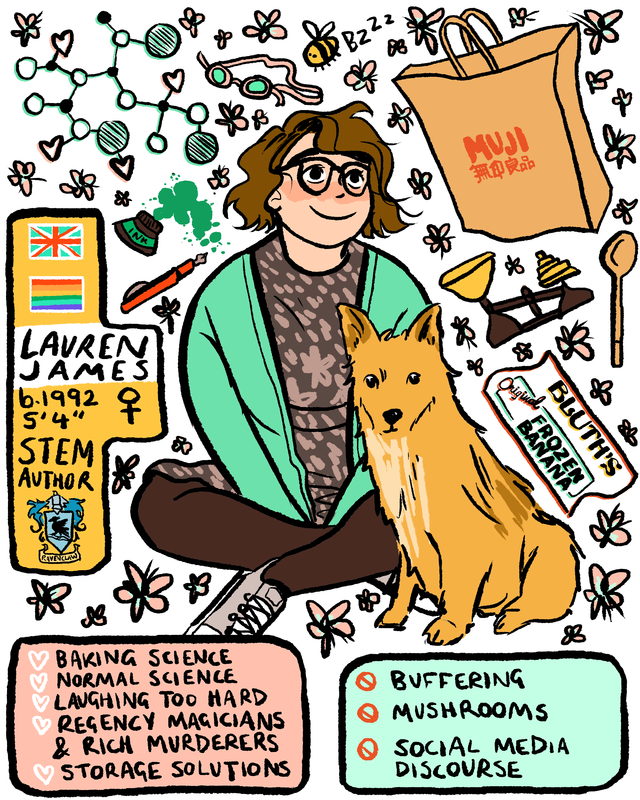 In 2015, because I loved the book so much, I gave The Next Together what I call an ‘introducing’ slot where it gets an extra bit of space and a comment from me and it got into my top five, which as a debut author is pretty darn impressive Lauren! Aw, shucks! Thank you so much for helping it get there! What themes are you seeing in Children’s Books at the moment? How do you think this is going to change in the future? At the moment there are two extremes. You’ve got your Wimpy, Dork, Tom Gates and Walliams books dominating the charts with humour and illustrations that year 7 and year 8’s have grown up reading and so continue to read and then there seems to be a dramatic leap to upper YA; titles dealing with heavy subjects such as sexual abuse, depression and gender identity. Although it’s great these topics are being discussed more in literature for younger audiences it can be hard to find a middle ground. Those first formative and awkward years of being a hormonal teenager when you’re dealing with first spots, crushes, braces and for half the teenage population….periods is an important aspect authors need to embrace more. I’d like to see more publishers focus on reaching that ‘in-between’ audience (think Louise Rennison, Geek Girl and Joel Cowley) as this is when we start to loose readers dramatically. If we can keep the humour of Wimpy but add the awkward horror of being a teenager (but without the swearing and drinking of upper YA) that would be the dream in my opinion. At the moment my favourite YA would be Nicola Yoon’s new title The Sun is Also a Star I’m a massive fan of dual narratives and this takes it to a new level, where you have a third narrative; the universe. It’s hard to explain without sounding incredibly clichéd but Yoon weaves these small stories from the universe that are happening simultaneously to the two main characters and melds them into the overarching plot with such care and attention that I was just blown away. Yoon does a superb job at getting you to see the world through different eyes. There’s a sub-plot about a security guard, and it seems like a tiny insignificant story and yet every time I think about her I get shivers. I’m a teenager from the noughties so Noughts & Crosses, I Capture the Castle, Star Girl, How I live Now, Coram Boy, The Heartland series (my obsession with horses may have escalated somewhat) and Harry Potter were all very important to me at secondary school. I’ve been very lucky as part of my role to fly to the Scholastic Fairs office in Florida to see how they operate there and it was such an enlightening experience. The scale of their operation is insane due to the vast expanse of country they have to cover so they work very differently to us (with ten times the amount of staff!). Whilst I was out there I had to do a book talk (where you choose a book of personal significance to introduce who you are) to over 50 strangers which was absolutely terrifying but totally worth it as it really helped me appreciate how we all look and read books differently. Definitely! Because I have to read and note down content for all the books I feature in Teen clubs and fairs it’s very hard to switch off that mentality. I’ll be reading a book on holiday and as soon as a swear word comes up or drugs are mentioned I automatically want to highlight the page. Although to be honest most of the adult fiction I read has less content than the Young adult titles for work so it’s usually a nice change! How did you get started working in publishing? What advice do you have for anyone looking to get into publishing? At school, although I read a lot in my spare time, I was more into science and art so studied those at A level but on applying to university I had no idea what I wanted to do so found a course that allowed me to study animation, illustration, film and TV and from there decided to specialise in script and prose. I thought I’d go down the film route but whilst doing work experience for BBC films I realised I was more interested in the books they were adapting at the time (Brooklyn and Swallows and Amazons) and so began my interest in publishing. As I hadn’t actually studied English since GCSE I decided to do a Masters in publishing to get an in-depth look at the industry to see what areas interested me most. Whilst doing my Masters I did work experience at Scholastic where I was able to get a glimpse at each department and then when I graduated I managed to set up work experience in the marketing department at Penguin. I was also working part time as a supervisor in Topshop so was working 7 day weeks which, although exhausting at the time, did payoff in the end. I was kept on at Penguin as an assistant for a couple of months before finding a permanent assistant role at Scholastic Clubs and Fairs and have worked my way up from there. Because the publishing industry is primarily based in London working for free can be a nightmare. My advice is to be honest when applying for work experience if you have other commitments – I told my supervisor at Penguin that I would have to leave early on Fridays so I could do the evening shift at Topshop and they were completely understanding, no-one is going to judge you for working hard whilst trying to keep on top of the rent! How can students start their own Teen Book Club? In secondary schools the Teen Book Club is usually set up by the Librarian so it’s always worth asking them first. All they have to do is sign your school up online and the leaflets will get sent out to the school free of charge. All our clubs are available online once the school is linked (that way every order still collates money to go back to the school pot) and you can get the books sent either to your home or the school. If you don’t have a librarian see if you can chat to your head of year about it. We do completely online offers where all the students need is a unique web address linked to their school which can be sent out in an email and thus no paperwork at all! Thank you for such an informative interview, Francesca! Francesca Hopwood is the Teen book buyer at Scholastic Clubs and Fairs. She’s been there for almost four years and is determined to last five. * She’s an avid collector of stories, glitter and Spotify playlists. *Primarily to receive the infamous Scholastic Pen (but also because I get to read YA all the time). In other news: If you’re in Birmingham this Friday, there are still tickets left for my event with Jennifer Niven – and you can win a VIP meeting with us(!?) plus free books and swag through Maximum Pop! here. This entry was posted in behind the book, the loneliest girl in the universe on 14/11/2016 by Lauren James.